The taste of victory? Why beer drinkers should toast Carlsberg’s evolution (even if they don’t want to drink it) — Will Hawkes. I’ve always wanted to visit the Carling brewery, but now I don’t need to bother. The BBC’s Inside The Factory took an extended look inside the Coors plant in Burton, where Carling is made, a few weeks’ back. It was an interesting and straight-forward look at the process, even if beer snobs like me were left coughing into our double-dry-hopped raspberry sours by the revelation that Carling’s fermentation and conditioning takes just five days. The programme was a great example of taking something relatively complicated/obscure (and how beer is made is both of those for most British people) and rendering it palatable for a general audience. Alas, the same cannot be said of the beer itself: Carling itself remains resolutely unpalatable, to me at least. I just don’t like it. It doesn’t have to be like that, though. Big breweries can make delicious beer, it’s just that - in the case of most of the British brands - they choose not to. British drinkers have got used to the flavour of their favourite brands. They don’t care that they taste like sweetcorn, or apple, or butterscotch, and rarely like malt and hops: as long as they’re cold and fizzy, that’ll do (cold and fizzy, of course, is one of craft beer’s great ‘innovations’ in this country). Which is what makes Carlsberg’s recent change so unusual. The Danish company has completely updated its beer, ‘reformulating’ the recipe so that it now has something of that rich malt character that’s so important to Bavarian-style Helles, and some hop bitterness too. It’s clean, it’s tasty, it’s become something that Czechs or Bavarians might recognise as lager. (I was sent six cans, unrequested, by the PR company). It’ll be interesting to see how drinkers react. 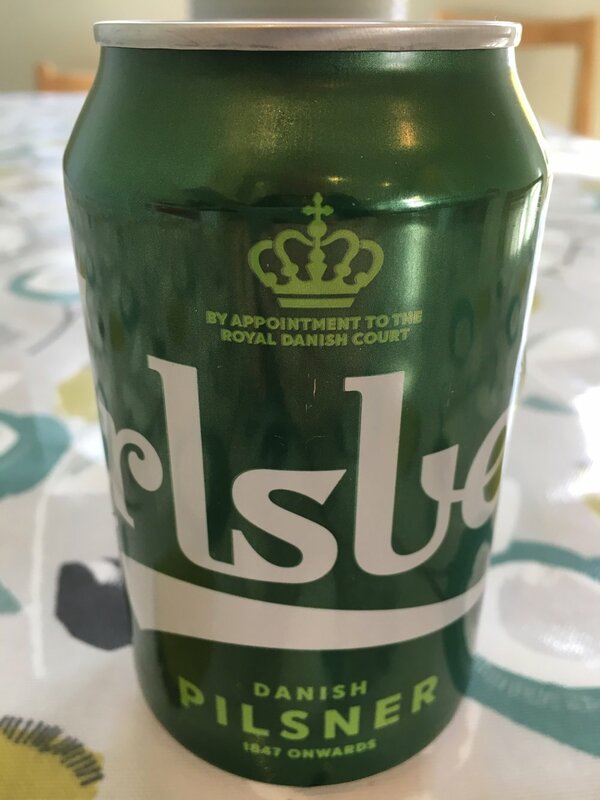 Those who are used to the old Carlsberg, a diminishing but still significant group, might be upset - but crucially for their interests, it’s still cold and fizzy. That’s vital to most beer drinkers in this country. For the rest, it’ll be about which is more important: fidelity to their favourite brand, or resentment over a changed product? And then there’s the much smaller group of self-identifying beer connoisseurs, the sort of people who would normally turn their noses up at Carlsberg: those who considered Beavertown’s sale to Heineken to be up there with what Judas did to our sweet Lord. Will they drink it now? Some will, certainly - but enough to offset those who ditch it because it doesn’t taste like it used to? Whatever happens, beer drinkers should see this as a victory: a brand that for so long has been committed to mediocrity is suddenly making something quite nice. This has only happened because of the changes in beer over the past decade or so. Forget the milkshake IPAs and sour pilsners for a second and think back to why this whole phenomenon began: to get better beer on the bar. That’s what has happened here. Whether you try it or not, this new Carlsberg is a big win for drinkers. Multinational brewers may be buying up your favourite breweries, but you and people like you have changed how they operate on a fundamental level. With a bit of luck, Carlsberg’s conversion might convince other mass-market producers to up their game too. Naming no names, they might even decide to stretch conditioning to beyond five days, or update the recipe to something a bit more flavoursome. If Carling’s owners ever plan to do that, something along these lines would do nicely. It shouldn’t be too hard given where they brew.